Ebene Junction 2 is characterized by an innovative architectural design, ample ventilation, green surroundings and outstanding panoramic views. This development stands apart in the Ebene landscape. It offers small, versatile and affordable office spaces with the benefit of full ownership and excellent potential for return on investment. 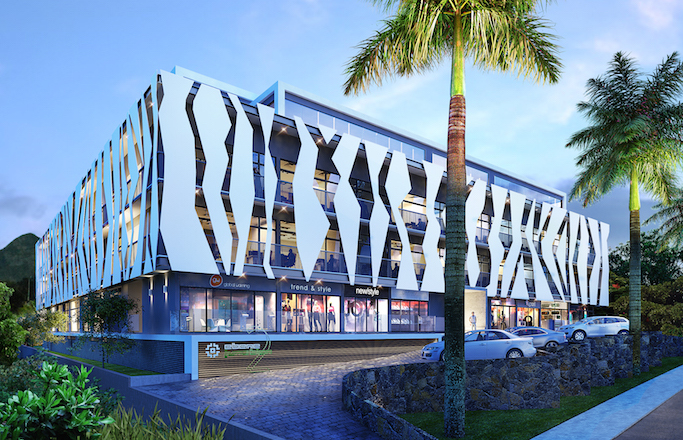 Ebene Junction 2 is setting a new benchmark in terms of office-building development in Mauritius with avant-garde design and features blending harmoniously with the surrounding natural scenery. The flexible office space solutions combined with comfortable amenities create a favourable and productive work environment. 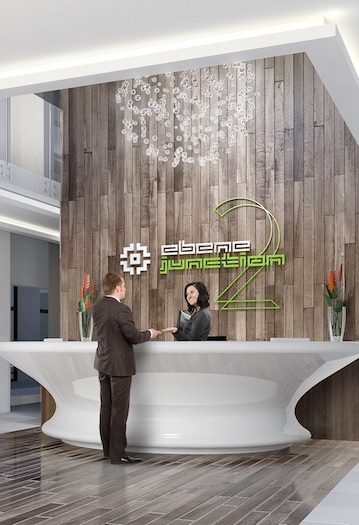 Ebene Junction 2 is a platform designed to support collaboration and interaction through providing an inspiring and stimulating experience. 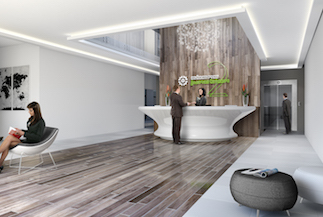 All the offices and common areas within the facility have top-of-the-line finishes with ergonomic and trendy interiors; dedicated parking space is also available to make every visit as pleasant as possible. Ebene Junction 2 features an efficient design to reduce energy needs and carbon footprint, including the use of solar energy, a sun-break facade system to reduce the thermal impact on the building, rain water harvesting, waste sorting, cross-ventilation, a planting area in the courtyard, the use of recycled materials and energy-regenerating lifts. 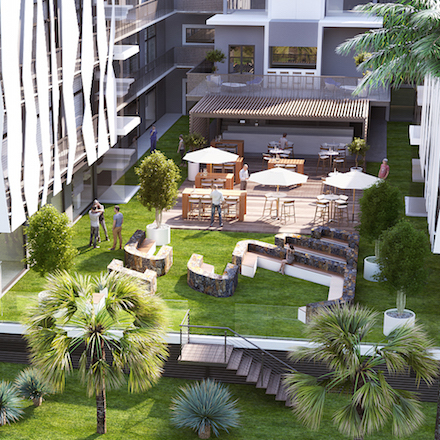 This vibrant and modern business hub provides a relaxed atmosphere, where working and doing business is a true pleasure. It is also a great place for social interaction and networking among professionals. Ebene Junction 2 is an innovative and daring development on the outskirts of the Cybercity that definitely hints at excellent rental potential and investment value arising from its design, strategic location, accessibility and shared amenities and services.